Candidates can check the HP High Court Recruitment 2018 Notification For 80 Vacancies of Clerk (Class-III), Stenographer Gr.-III (Stenotypist) (Class-III), Judgment Writer (Class-III), Junior Office Assistant (IT) (On Contract basis) (Class-III), Process Server (Class-IV) posts. 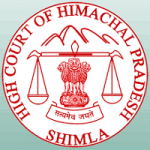 Interested applicants can apply for Himachal Pradesh High Court Advertisement 2018 from 26th November 2018 to 21st December 2018. Aspirants can get details regarding the hphighcourt.nic.in Jobs 2018 such as educational qualification, selection process, age limit, salary details, and others. For more fresh updates about the HP High Court Recruitment 2018, candidates can bookmark our site Sarkari Recruitment by clicking Ctrl+D. Selection Process Written Test/ Typing Test / Personal Interview. In the below table, candidates can get the details of educational qualification for HP High Court Recruitment 2018. Clerk (Class-III) Possessing Graduation degree from a recognized University. Stenographer Gr.-III (Stenotypist) (Class-III) Possessing Graduation degree from a recognized University and having the speed of 80 W.P.M. in English Stenography and typing speed in English at 40 W.P.M. on computers. I.T.I diploma in Computers equivalent diploma in Information Technology or Computers with two years experience as System Assistant or Computer Desktop Engineer or on the higher post in the field of computers and having basic knowledge in computers like operating the computers, windows and Linux Operating Systems and typing out and taking. As per the information in the HP High Court Recruitment 2018, applicants need to have the age as per the norms of the organization. For more details check the HP High Court Recruitment 2018 Notification. Attend the selection process for the Clerk (Class-III), Stenographer Gr.-III (Stenotypist) (Class-III), Judgment Writer (Class-III), Junior Office Assistant (IT) (On Contract basis) (Class-III), Process Server (Class-IV) vacancies. Written Test/ Typing Test / Personal Interview. Clerk (Class-III) Rs.5910-20200 plus Grade pay Rs.1900/-with initial start of Rs.7810/- per month. Rs.5910-20200 plus Grade pay Rs.900/- on fixed contractual emoluments i.e. the minimum of the pay band + Grade Pay per month. Stenographer Gr.-III (Stenotypist) (Class-III) Rs.5910-20200 + Grade pay Rs.2000/-with initial start of Rs.8240/- per month. Judgment Writer (Class-III) Rs.5910-20200 + Grade pay Rs.2000/- on fixed contractual emoluments. Please the official notification for fee details. Candidates can visit the official site that is hphighcourt.nic.in. In that go to the Recruitment/ results section. Search for the HP High Court Recruitment 2018 link. Download the HP High Court Recruitment 2018 Notification. Read the complete details in the HP High Court Recruitment 2018 Notification. If you are eligible, then apply for the HP High Court Recruitment 2018. Take two or more copies of HP High Court Recruitment 2018 Application Form for further reference.